Prayers, encomiums and appreciation were on the front burner as super Eagles Midfielder Oghenekaro Etebo celebrated his 23rd birthday on Friday, November 9, 2018. 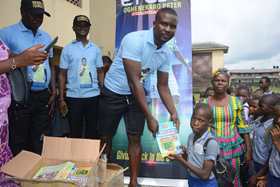 And as part of activities marking his birthday celebration, the Rio 2016 Olympic bronze medalist, via his Foundation, Etebo Oghenekaro Peter Foundation touched the lives of close to nine thousand pupils by donating over twelve thousand text books to 64 Public schools in Delta State. The Foundation delegation led by the celebrant's parents Chief Austin and Mrs Blessing Etebo, its coordinator Mr Endurance Iseri Ogbemudia and friends and well wishers visited Warri South, Uvwie and Ughelli North local government areas for the distribution of the materials between 10am and 3pm. 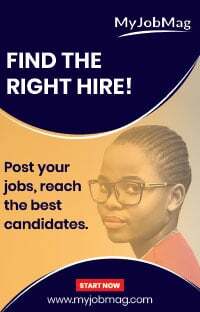 Others are Eyabugbe Primary School, Ogbe Primary School, Ekpan Primary School, Army Children Primary School, Opete Primary School and twenty two other schools in Uvwie Local Government, as well as Ogelle Primary School in Ughelli North local government. Among the text books distributed were STAS Continuous Assessment, Lantern Verbal Reasoning, Lantern Quantitative Reasoning, New Primary Macmillan English, Longman Dictionary for primary schools and STAS Quantitative/Verbal Reasoning. The representatives of the State Ministry of Education in separate interviews expressed their delight and prayed for the birthday boy, adding that the gesture has not only assisted the schools, but the community and the government as well. Parents, teachers and students also gathered to pray for the Stoke City midfielder, they wished him many happy returns in sound health and multiple blessings. Etebo's parents returned all glory to God, the author and the finisher for his benevolence and his love and care on the family. Mrs Blessing Etebo said "My joy knows no bound, I return all glory to God for his blessings, may he alone be praised". Chief Austin Etebo on his part appreciated the Supreme Being for His mercy on the entire family, he urged the students to take their education seriously as that is the only way they can make Etebo's kind gesture meaningful. In his own remark, Coordinator EOPF, Mr. Endurance Iseri Ogbemudia appreciated God for his consistent faithfulness, he lauded Oghenekaro Etebo for giving back to the society and prayed that God will replenish his pocket. Ogbemudia said "God has been faithful and Etebo knows it too, that's why he has decided to celebrate his birthday this way". We also appreciate Hon. Kunle Soname President of Remo Stars and CD Feirense of Portugal for his donations to the Foundation." He added that the last has not been heard from the foundation as EOPF won't stop at that. The birthday boy himself appreciated God and all parties involved and promised to continue giving back to the society in his own little way .